4 Bedroom Semi Detached House For Sale in London for Guide Price £1,750,000. A truly elegant and substantial Grade II listed family home with beautiful 88' walled garden, off-street parking and garaging. The beautifully proportioned property has been modernised throughout by the current owners yet retains numerous character features throughout. The accommodation comprises briefly on the raised ground floor: impressive entrance hall, cloakroom, sitting room to the front with beautiful ornate fireplace opening to a generous study to the rear. There is an impressive drawing room to the rear also with ornate fireplace and a useful bedroom with a comprehensive range of built in cupboards and en suite shower room. On the natural lower ground floor there is a 23'2 family/media room with separate access to the front, further cloakroom and a modern kitchen/dining room overlooking the rear garden. The entire first floor is made up of the master bedroom suite which includes 24'8 double aspect bedroom, walk in wardrobe and a beautifully appointed en suite bathroom. The second floor comprises of two generous bedrooms and a family bathroom. 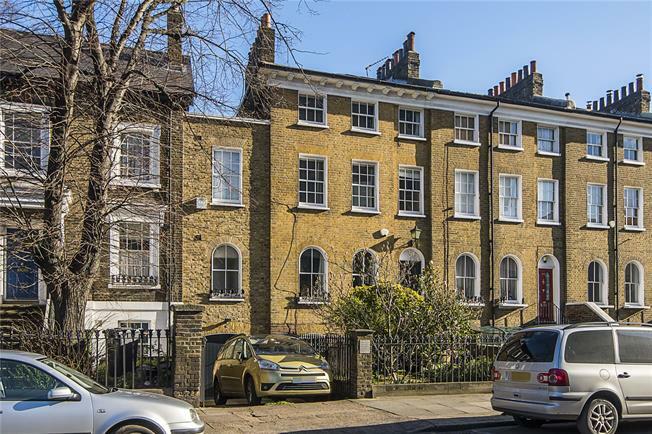 The property is located close by to the open spaces of Larkhall Park, situated on the fringes of the exciting Nine Elms redevelopment area and its newly proposed Nine Elms Tube station (Northern Line). Nearby Stockwell underground station provides access to the Northern and Victoria Lines and both Clapham High Street and Wandsworth Road Overground Stations (part of the newly-opened London Overground orbital train network) provide routes towards Clapham Junction and Canada Water. Local bus services, provide quick and easy access into the City, West End and Canary Wharf. There is a pretty front garden with adjacent driveway leading to an integral garage. The 88' rear walled garden is a particular feature of the property and offers a good degree of privacy being mainly paved and interspersed by numerous flower and shrub borders with a lawn area to the rear.